Be sure you get the Double Wedding Ring you're wanting! 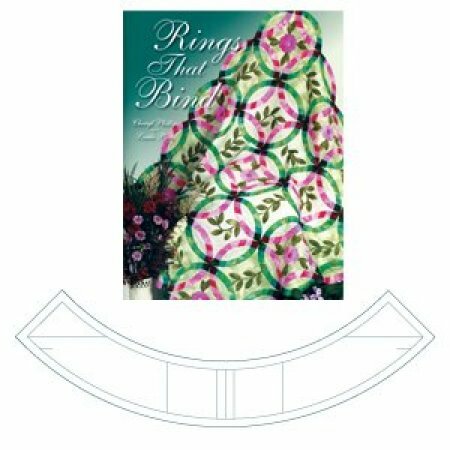 We have two options: One, the Rings That Bind, is a block by block technique, allowing you to quilt each block as you go. The other option, Simple Bands is a quicker, simpler way to make a somewhat traditional Double Wedding Ring. The quilting step is done after the top is assembled. The ends of the Arc-Ease tool are angled. When four arcs are pieced together they create a circle. You want this choice if you want the block by block quilt as you go method as shown on the videos on Kaye Woods' or on Simply Quilts. See the Rings that Bind video here. The Simple Curves tool has blunt tips and does not create a circle. When sewn together they create a curved strip. 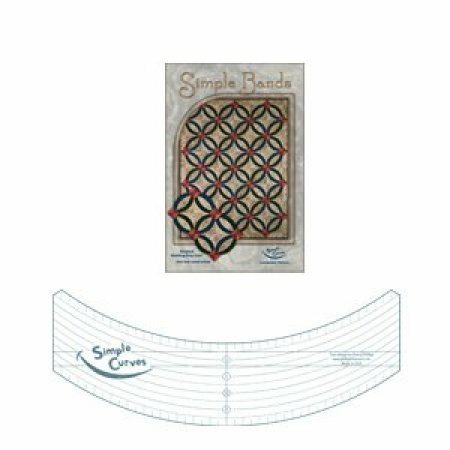 The Simple Curves tool includes a table runner pattern. Other possible patterns are available such as the Simple Bands or Simple Harmony (each sold separately). A free Downloadable pattern can be found here: Simple Coins Pattern. See the Simple Curves videos here.